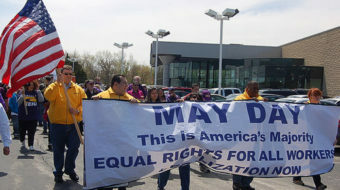 Wal-Mart organizing efforts are gaining momentum, in spite of the company’s concerted efforts to thwart union activity. In the United States — where the campaign is led by UFCW International — the growing interest to go union is being fed by a number of factors, including Wal-Mart’s dismal record of worker-exploitation; proposed American legislation that could stop Wal-Mart and other companies from intimidating workers who want to join a union; and concrete proof in Canada that Wal-Mart workers can unionize and get a collective agreement. For now, members of UFCW Canada Local 501 at the Wal-Mart in Saint-Hyacinthe are the only Wal-Mart workers in North America covered by a collective agreement, “but they won’t be the last,’ says Wayne Hanley, the national president of UFCW Canada. Collective agreements for three other Quebec Wal-Mart bargaining units are also in the process leading to a first contract. But the company is not totally above the law. 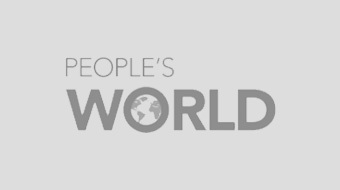 In May, an American court determined — in the wake of 30 lawsuits filed by Wal-Mart workers across the USA — that Wal-Mart had not paid the workers for all hours they worked, including missed breaks. Their “shaved” pay cheques could total more than $600 million in damages. Two million women who work, or worked at Wal-Mart are also suing the company for gender discrimination regarding pay and promotions. It is the largest class-action suit in American history. But while the courts may be one answer, increasingly American Wal-Mart workers see the best way to stand up to Wal-Mart is by unionizing. In April, Wal-Mart workers from across the United States joined a UFCW International rally in Washington in support of the Employee Free Choice Act. If the EFCA is passed, employees can gain a union at their store if a majority of the workers there sign union cards. Not surprisingly, Wal-Mart (America’s largest employer) is leading the campaign against the legislation. That hasn’t stopped more Wal-Mart worker rallies and a rise in calls from Wal-Mart workers to UFCW local union organizers in a number of locations across the United States. More than a 1.3 million Americans work at Wal-Mart. The Employee Free Choice Act could face a vote in Congress as early as the end of June.